Gettin' Rowdy in Texas Hill Country! Despite being the second largest state in the union, Texas has less than 4% publicly accessible land. As a result, groups like @freeride-512 and @TeamTrailParty have taken it upon themselves to manage riding areas and build a scene through local races. Lightning Thunder in Madeira: A film by: Peter Eriksson. Riders: Alexander Bäckvall, Simon Johansson, Johan Gustavsson and Christoffer Van Kuijl. Thank's to LokoLoko Madeira for all the help! R-Dog - 3 Bikes, 3 Minutes: Ryan "R-Dog" Howard throws down in the Coast Gravity Park on Sunshine Coast, British Columbia. In three minutes, R-Dog styles his signature whips on three different bikes. Edgar Defay - Kamloops Bike Ranch: I was filming a road trip documentary about a paraplegic mountain biker, and this little Frenchman showed up. Conjuring the Druid - Forbidden Bike Co: A wolf in sheep's clothing. The new 130mm travel Druid works hard. Thomas Doyle puts it to the test on Forbidden's home trails. No Quarter: August Nesbitt shredding his local favourites. Don Power: Dean Lucas hammers down his local trails onboard his new 2019 bikes. Laps with Laura & Heather: Here's some bonus footage from our shoot last summer with Laura Slavin and Heather Munive lapping the park. Enjoy! Video: Christopher Vanderyajt. Cowichan Cycles - The Shop: The team working hard. Beyond Dedication - Vernon Huffman's Pursuit of Passion: Vernon Huffman doesn’t take short cuts. When he wants a certain IPA, he brews it. 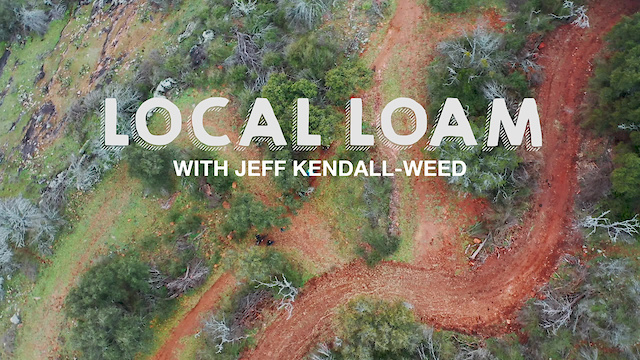 When he sees the opportunity for a trail, he builds it—legally. When he wants to give mountain bikers access to the amazing trails of Marin County, he fights tirelessly, through legislation and litigation. As the president of the Access4Bikes Foundation, a Marin-based advocacy group, Huffman has been leading the charge for mountain bike access in the birthplace of the sport. His dedication is beyond mountain biking though, and his cause is not simply access, but rather fighting for what you believe in, with dignity and endless passion—something visible in every aspect of Huffman’s life. I Want You To Be Happy: Lately I've been feeling immense amounts of gratitude. The last 13 years have been an amazing process - full of failures and milestone moments that have brought me to where I am today. As I reflect on my life, I realize that I thrive on the challenge of creating complete freedom for myself. I hope the words in this video resonate with you on some level. Never stop pursuing your passion. I just want you to be happy. Nathan Williams - The Williams Collection: One of the best street riders in the game. Cult Crew Does Swampfest 2019: Swampfest is one of a kind and true to BMX. Shout out to Trey Jones and his crew for everything they did this weekend to bring BMX together. Odyssey Electronical - Jimmy Levan: A classic segment from Jimmy. Birdhouse's "Beautiful Mutants" - Clive Dixon's Part: It cannot be overstated - Clive is GNARLY. There’s no obstacle too harrowing, no water tower unscalable. Enjoy the hammer barrage. Tony Hawk's Path To Progression: "Learning new tricks is a landmark of skateboarding. It’s a process that is not always groundbreaking or easy to understand from a non-skating perspective. I documented the journey of doing an “NBD” (never been done) on vert in order to give a better understanding of what it takes to be innovative in a sport that constantly evolves; hours of attempts and a sprained ankle for a 3-second clip that could easily go unnoticed… but worth all the effort as far as I’m concerned." -Tony Hawk. VTEC Classic Mini Ep 1 - The Plan: Sacrilege? Honda fanboys? What heritage? Doesn't matter. We're building a B18 mini. Kevin Jorgeson Faces A Nearly Impossible Climb: Kevin Jorgeson and Jacob Cook head to the Bugaboos to attempt the second ascent of the Tom Egan Memorial Route. The Fifty - Ep. 7 - Joffre Peak: North of Pemberton, BC lies a big, daunting and dangerous peak called Joffre. In a project filled with many intimidating lines, Joffre presents the first fear inducing challenge of the season. Low snow and sketchy steeps are met with a nearly tragic ending that teaches us all that bad things can happen in the mountains. The FIFTY - Bonus Episode - Joffre Accident and Rescue: At the end of a fateful day, Cody Townsend and Bjarne Salen, witnessed a fall down the 60+ degree couloir called Central on Joffre Peak near Pemberton, BC. Footage from the accident does not exist, so Townsend and Salen, go into detailed account of what happened that day, the actions they took to help rescue the victim of the nearly fatal fall and help inform you what proper steps you can take if you partake in a backcountry emergency rescue.